Starting school; it's not just the kids doing the learning. What I learned when my child started school. When my boys started school they didn’t tell me much about their day aside from who they played with or what they bought from the tuckshop. When my daughter started though, I felt like I was getting the education as well. 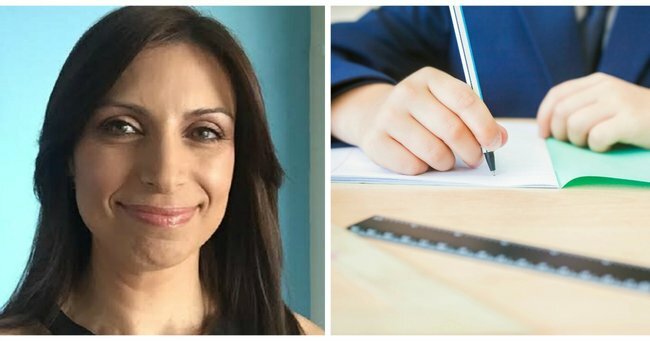 Caterina shared every single detail about her day from what she learned to the mistakes I was making in my role of school parent. Here is some of what I learned during those first few months. I was packing her lunch wrong. “Rachel’s mum packs her three things for morning tea and you only pack me two,” Caterina said moments after stepping of the school bus. Being chastised by a six-year-old was taking some getting used to but a few months into the school year and I was getting used to it. “Okay darling, I’ll pack you three things tomorrow,” I said. I knew better than to argue with her. I could have said, “But you don’t eat the two things I give you,” or, “You don’t have to do everything the same as Rachel,” but I didn’t bother. Daughter knows best. Image: supplied. Better fashion choices were possible. “Samantha’s hair band matches her school uniform,” Caterina informed me moments after I shoved a black hair band in her unruly hair. I thought just getting the uniform right was a feat worth celebrating. The shirt and the tab tie (which I kept losing) and the tunic and the socks or tights and the all black school shoes and mostly white sports shoes. “No problem darling, we’ll buy some when we do the grocery shopping.” I could have said, “But the school list said black was okay,” or, “Gimme a break for crying out loud” but I chose the high road instead. Getting along with school parents takes more than just having kids in the same class. When Philip started school I assumed I would be friends with all of the school mums. As a new school parent I made very rookie error possible and took me a good four years to figure out who my real friends were and who I should probably start to avoid. Then that was it for me. I had enough friends and didn’t really bother making more when Giovanni started school and by the time Caterina started I was too busy to see the friends I had, until Caterina found herself a BFF and their devotion to each other was like nothing I had ever seen before, forcing her BFF’s mum and I to become friends, whether we like it or not. Luckily we like it. “Rachel is my BFF (Best Friend Forever) mum and I really want to go to her house." Image: iStock. “Mum, remember the time I vomited in the silver bowl?” Yes I sure did but I was more alarmed at the reason Caterina chose to reminisce this particular memory with me that afternoon. I soon found out. Gastric had hit the school and was taking out waves of students and staff like a revolting plague. We soon got our turn and just had to ride it out. You can’t do much about germs at school – however if another doctor tells me it’s good when the kids get sick because it ‘builds their immunity’ I will throw something at them – but we can do as much as possible to keep our kids as healthy as possible by making sure they get exercise, rest and good food. Vaalia Kids Immune Defence 6 Pack comes in a small squeezy pouch which Caterina loves because it tastes good, it’s small and it doesn’t take away from play time because she can finish it in one fell swoop. 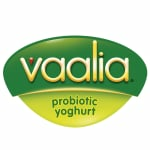 Vaalia Kids Immune Defence helps support immunity and helps maintain their health as much as possible. “Poor people” need all of our money, not just some. That was a learning curve. My compassionate, loving daughter was so moved by the teacher’s explanation of the school’s most recent charity initiative that she emptied her wallet without a second thought for the fact she no longer had any lunch money and the fact I’d have to give her even more money. What did you learn when your child started school?